ATHENS — For Greece, it’s the economic equivalent of the Big Bang. The question is whether the economic overhaul, assuming that Prime Minister Alexis Tsipras can make it happen, would enable Greece to grow its way out from under the country’s staggering debts. The roots of Greece’s problems run deep. Nearly every area of the economy is ensnarled by rules and practices that discourage investment and innovation. The bailout agreement asks Greece to open some of the main bottlenecks, like the sluggish judicial system in which it can typically take more than four years to enforce a commercial contract. Cosseted industries like pharmacies, which are protected by fixed working hours and a guaranteed profit margin on medicine sales that keep drug prices artificially high, would face new competition. And creditors want a further crackdown on corruption in the public sector, where the average asking price of a bribe, for services ranging from a tax audit to a driver’s license, runs around 1,400 euros, or about $1,500. But that is not a consensus opinion. “This bailout is not really about a growth plan for Greece, but a plan to make sure the European Central Bank and the International Monetary Fund get paid, and the euro area doesn’t break up,” said Mujtaba Rahman, chief eurozone analyst for the London-based Eurasia Group. “With so many interests at play, it’s hard to devise an optimal economic strategy for Greece,” he said. The toughest measures this time include requirements that Athens make additional cuts to pensions and pry open the labor market by streamlining collective bargaining and making it easier to lay off workers. Economists say the changes demanded of Greece will make little difference over the short term, unless the economy begins to emerge from its latest recession. But with around €4 billion in new spending cuts required by the bailout plan, analysts say the economy could be further restrained. 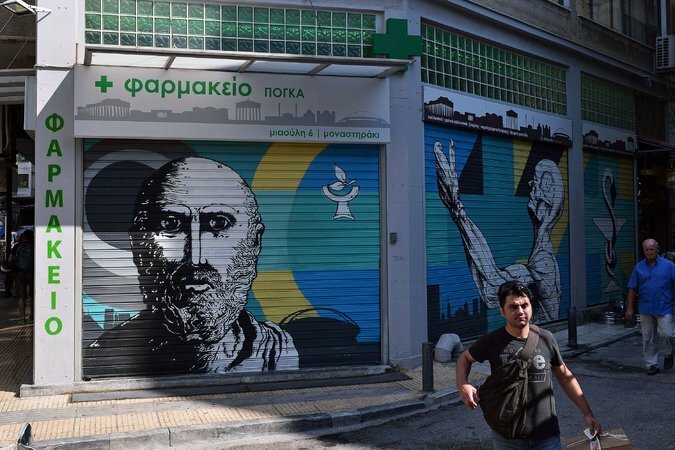 Still, some Greeks see an economic overhaul as long overdue. Spyros Xanthis, the managing director of Xanthis, a family-owned marine exporting company in the port of Piraeus, said his costs would drop markedly if there was more competition in areas of the economy like the legal and transportation professions. “If I could pay transportation costs of €600 instead of €1,000, that would help the bottom line,” Mr. Xanthis said. “If my legal fees fell because the legal and notary professions were fully opened, that would be better too.” He added that he could use the savings to invest in expanding his business. The Greek economy has shrunk by 25 percent since 2010, which Mr. Tsipras and many economists argue has been caused mainly by the austerity demands of previous bailout programs. The economic hole has been dug deeper by the government’s June 28 decision to shutter the banks and impose tight restrictions on the withdrawal and movement of money. The shutdown, and its impact on the economy, added an estimated €20 billion to Greece’s bailout tab. After the European Central Bank said last week that it would at least temporarily resume emergency lending to the Greek banks, the government said the banks would reopen on Monday. But the controls on money flow, which have hobbled Greek businesses, might stay in place for weeks or months. Still, if Greece could find the political will to carry out the overhauls — many of which drew from an Organization for Economic Cooperation and Development assessment of what needs to be done — it would make a huge difference, economists say. The tentative bailout agreement “does contain many reforms that are badly needed,” said Miranda Xafa, a senior fellow at the Center for International Governance and former member of the International Monetary Fund’s executive board who is based in Athens. That includes a demand that Athens finally take steps to stamp out corruption and cronyism, which are among the biggest impediments to a Greek economic revival. Opening a company is now easier in Greece than it once was, but getting the operating license is still complicated. It’s not that Athens has made no reforms under the previous bailout programs. As of last year, the European Commission reported, Greece had substantially reduced pension costs and cut government employment by 150,000 workers. Wages fell by an average of more than 21 percent in five years, helping to lure new investment. In tourism, an engine of growth, increased competitiveness and simplified visa procedures helped stoke business. And less government red tape for companies has slightly lifted Greece in the World Bank’s “Ease of Doing Business” rankings this year to 61st, up from 65th last year, placing it just ahead of Russia but still behind Rwanda. Nonetheless, exports have not become a driving force for growth. Family incomes have fallen by a third. More than a third of Greeks are now at risk of poverty and a quarter of working-age people are unemployed. Some Greeks worry that the latest demands will take a larger toll. Theodora Kapetanelli, who took over the family pharmacy established by her father in 1974, feared that the eurozone creditors’ demands for more competition would hurt her business. 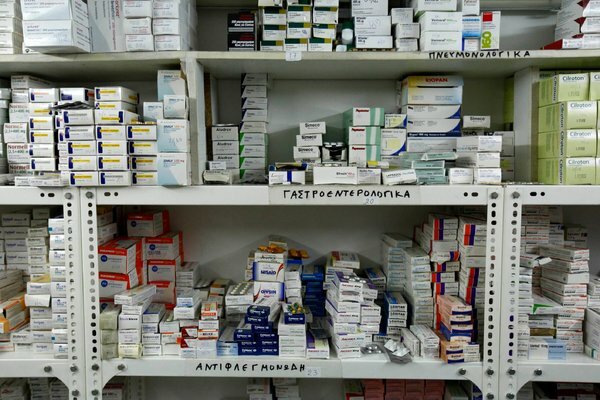 Currently, Greek pharmacies can be owned and run only by licensed pharmacists, who are limited by law to owning only a single shop. And pharmacies are the only place where even over-the-counter medicines can be purchased. That is a reason the cost of even nonprescription drugs is 27 percent higher in Greece than in other European countries sampled by the O.E.C.D. Ms. Kapetanelli said her profit margins would fall if nonprescription medicines could be sold in supermarkets and other places. Being able to own more than one pharmacy under the new rules holds little appeal for her, because costs like rent and employee salaries would increase. “Certainly we fear that we will lose our jobs and our businesses,” she said. Some of the creditors’ new stipulations, such as increasing some consumer taxes to 23 percent, may prove challenging to enforce, said Panagiotis Nikoloudis, Greece’s tax czar. But if Greece’s reform effort slows this time, there is a backup: Mr. Tsipras has given in to European oversight of his government’s every economic move. “Like it or not, Greece has now been made a vassal state of the euro area, and it’s absolutely clear the dragging of feet — that’s now dead,” said James Nixon, the chief European economist at Oxford Economics in London. “The fact that we’re on the edge of the precipice, and will continue to be there, will focus people’s minds on the reforms,” he said. Posted on July 21, 2015, in Postings. Bookmark the permalink. Leave a comment.